My Dad was a model railroader for over 70 years; he was also a hoarder. When he died in 2014 at the age of 95 he left me his collection of model trains, track, books, scenery, kits, magazines, locomotives, and parts, all of which I’d unearthed while cleaning out his house. It took me nearly three years of weekends and vacations to complete the excavation, during which time I organized, photographed and packed his collection into FIFTY-FIVE moving boxes. He told me that I should sell everything, but not in lots, as he feared I’d get ripped off by someone who would pay me ten cents on the dollar. How do you sell stuff you know nothing about, to experts? This blog is about my experiences as a reluctant model railroader. Unless you know what you are selling, you cannot describe it well enough to sound credible. Painstaking research is required. Things will go wrong at the worst possible moment, like when I’m packing something for shipment to a customer and it breaks apart in my hands. Model railroaders are just about the kindest, gentlest people you will ever meet; I’ve befriended model railroaders all over North America (and elsewhere). Their stories about how they got into the hobby are surprisingly sentimental and moving; it’s not all about the trains. As my husband pointed out, Model Railroading isn’t just a hobby; it’s a disease. God help me. 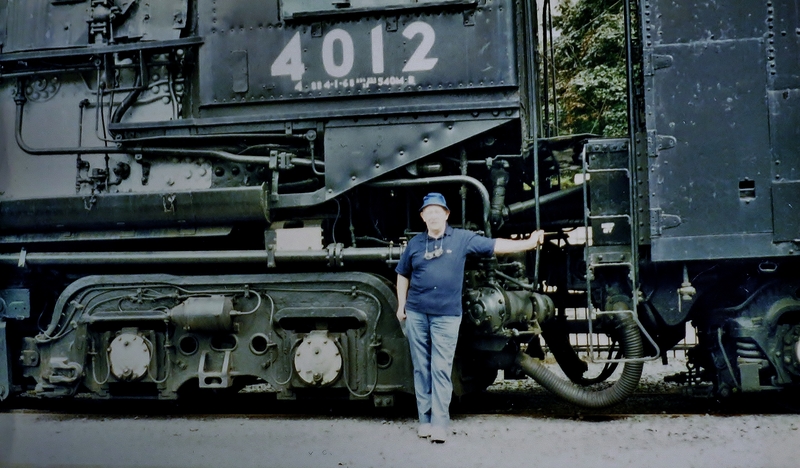 Biggest Lesson of All: Within those 55 boxes, inside hundreds of freight and passenger kits, brass locomotives, switch machines, transformers, couplers, trucks and decals, I’m discovering things about my father that I never knew or understood.